with excellent steaks and home cooked food on Thursday and Saturday evenings and the best homecooked Sunday Lunches we have ever had! "; fcontent="
Informal Wedding Venue (probably about as relaxed and informal as you can get!) also parties, retirement parties, funeral teas etc. 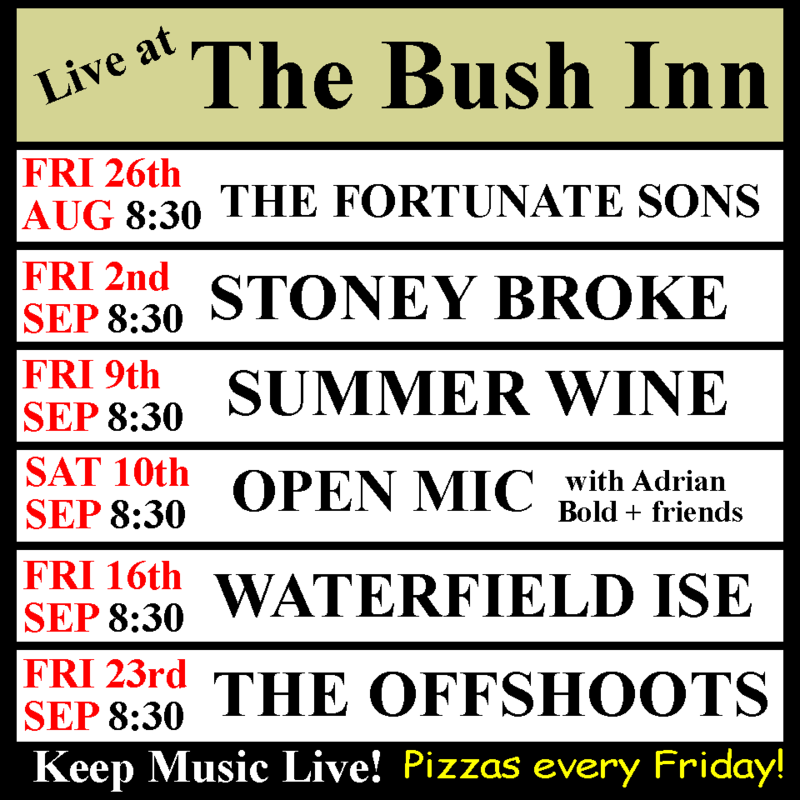 at The Bush please join. Yes, I want to become a member of the Bush Mailing List. We will keep only your email address, not any other details. We will not pass on any information to any others, for any reason. When we send out emails your email address is not visible to anyone else. We will only use the address to send you emails concerning what is happening at The Bush. We send a confirmation email to any email address added to the list to ensure that the owner of that email address really want to be sent emails from The Bush. You can remove your email address from the list at anytime by using the form on the left. "Welcome to The Bush Website"